Today’s episode was brought to you by the U.S. Army, join the team that makes a difference. 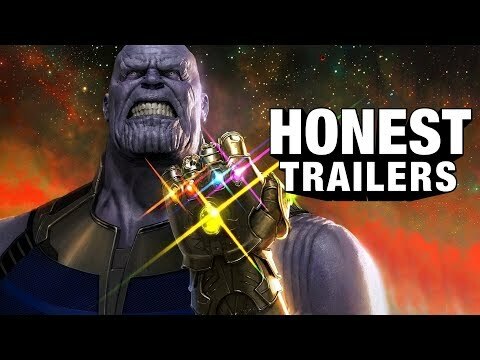 Find out more at http://bit.ly/_Go_Army This Marvel movie has the most Marvel movie of any Marvel movie - its Honest Trailers for Avengers: Infinity War Dont forget to check out the Honest Trailers Commentary with the three writers of Honest Trailers to see more of their thoughts on the movies! https://www.youtube.com/watch?v=HVUrZw20A88 Voiceover Narration by Jon Bailey Title Design: Robert Holtby Written by Spencer Gilbert, Joe Starr, Dan Murrell, and Lon Harris Produced by Dan Murrell, Spencer Gilbert, Joe Starr, and Max Dionne Edited by Kevin Williamsen and TJ Nordaker Assistant Editor: Emin Bassavand Honest Trailers - Avengers: Infinity War This is a sponsored video.